The SFC3 Fitness Series. 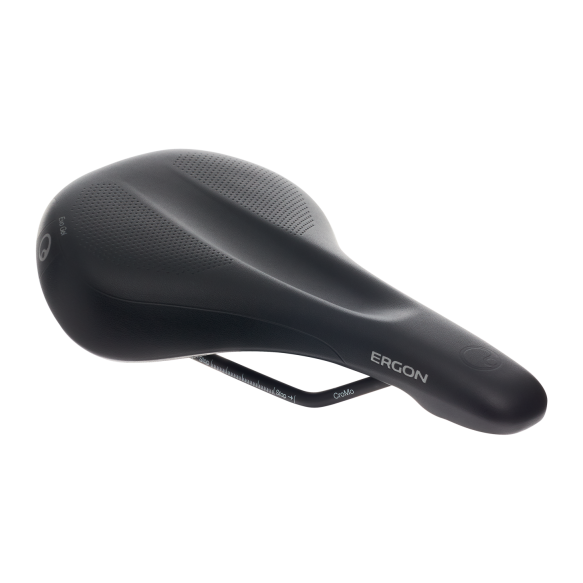 Pressure-free Sitting Comfort. 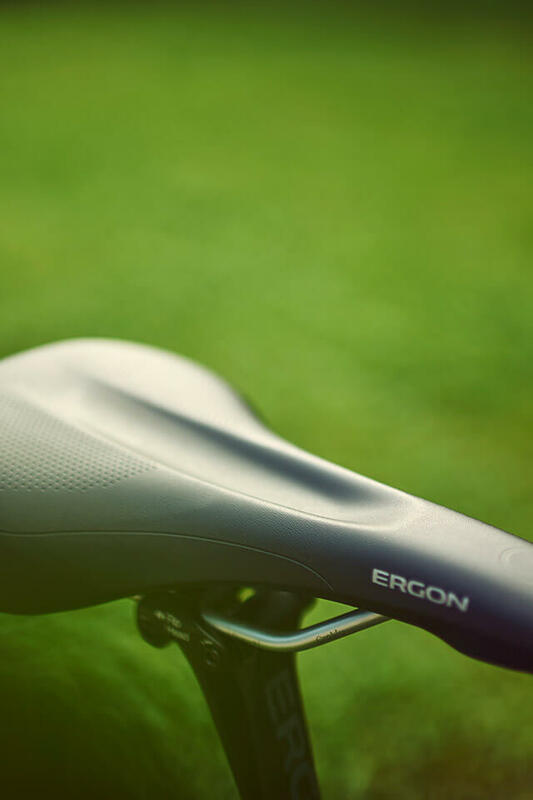 Whether it’s a fitness bike, e-bike or sporty touring bike, the Ergon SFC3 is the right choice for those riders looking for maximum comfort and good looks. 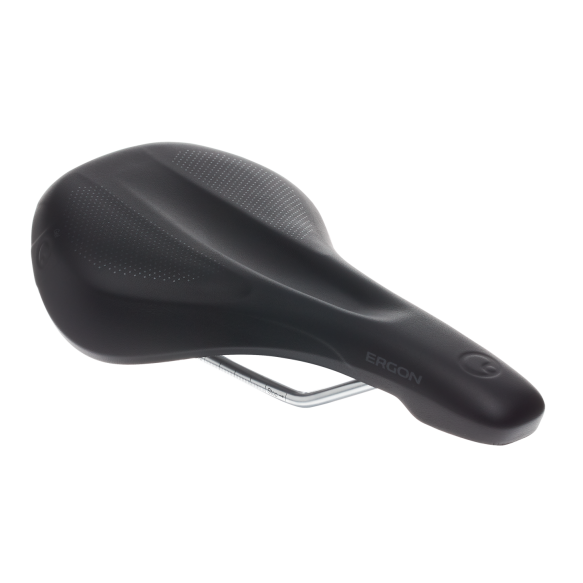 Thanks to a sophisticated ergonomic shape and comfort foam, the SFC3 is the perfect companion for every ride. 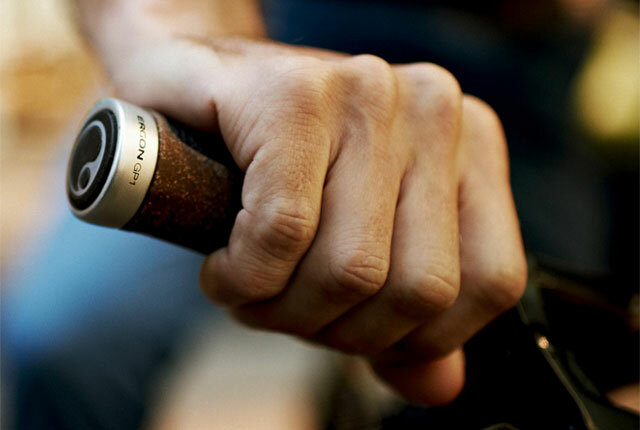 Qualitative and functional high-quality products require careful research and development. 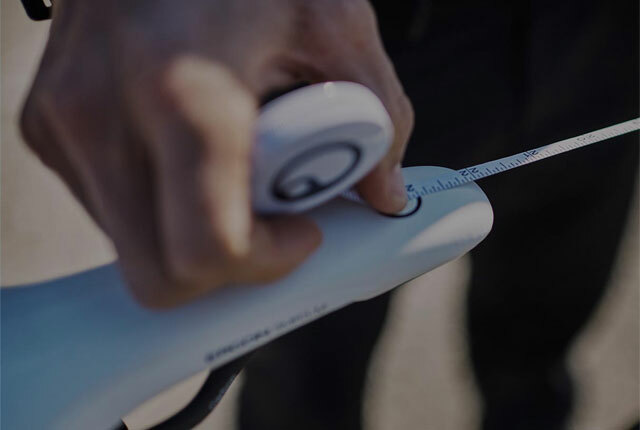 Designer Juan and sports scientist Janina explain in the video the conceptualization and development of the SFC3. 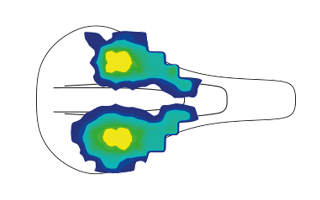 Optimal pressure distribution in the area of the buttocks and pubic bones by a flat and even contact surface. This helps in the prevention of common saddle discomforts and complaints. 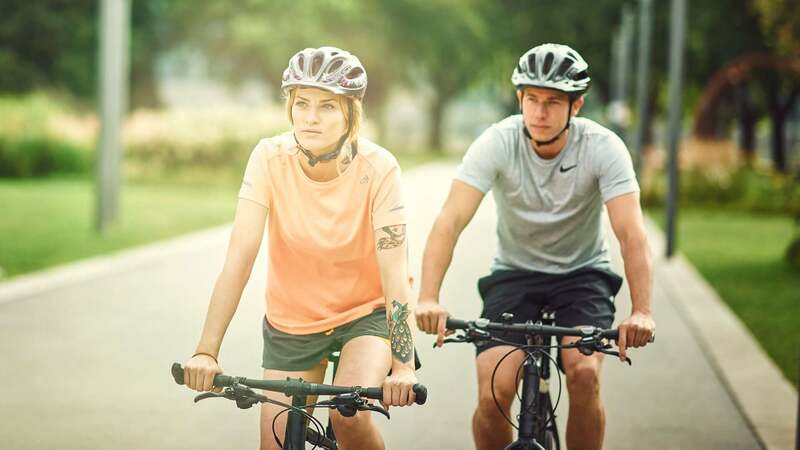 The wide seat is matched to the inclined and upright seating position - the typical body positions of a fitness cyclist. The relief channel prevents discomforts and numbness in the perineum and genital areas. 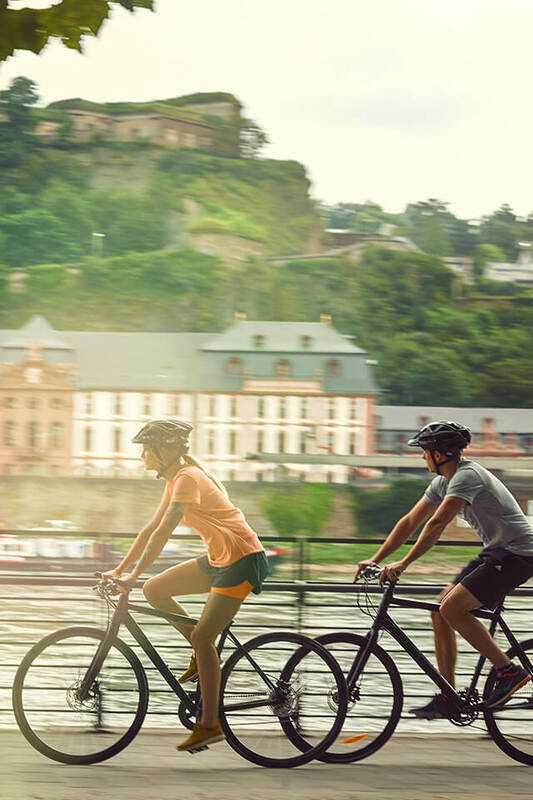 The narrow-cut nose provides the best possible leg-freedom when pedaling. 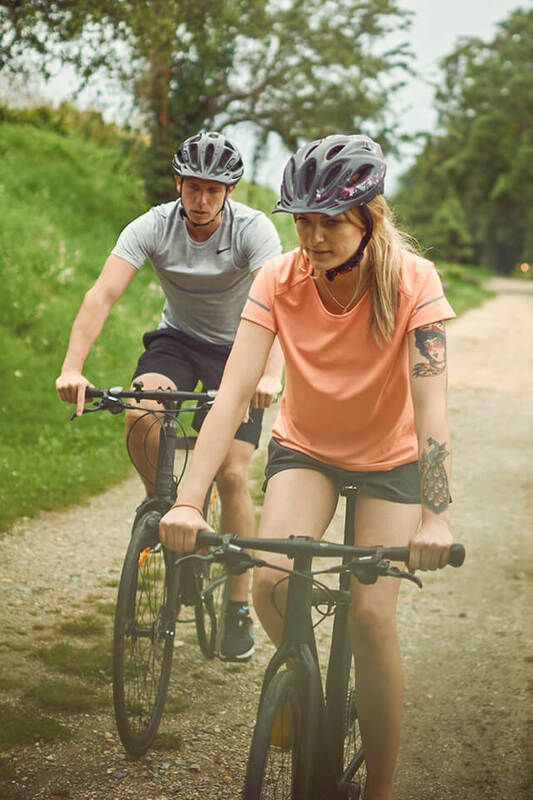 The area around the sit bones is less pressure-sensitive than the perineum and genital area. 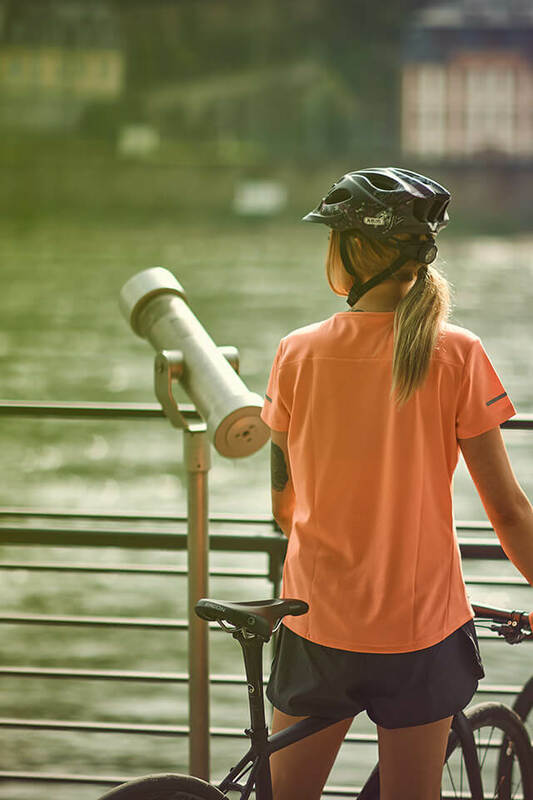 This area can better distribute the load of upper body weight across the saddle surface. 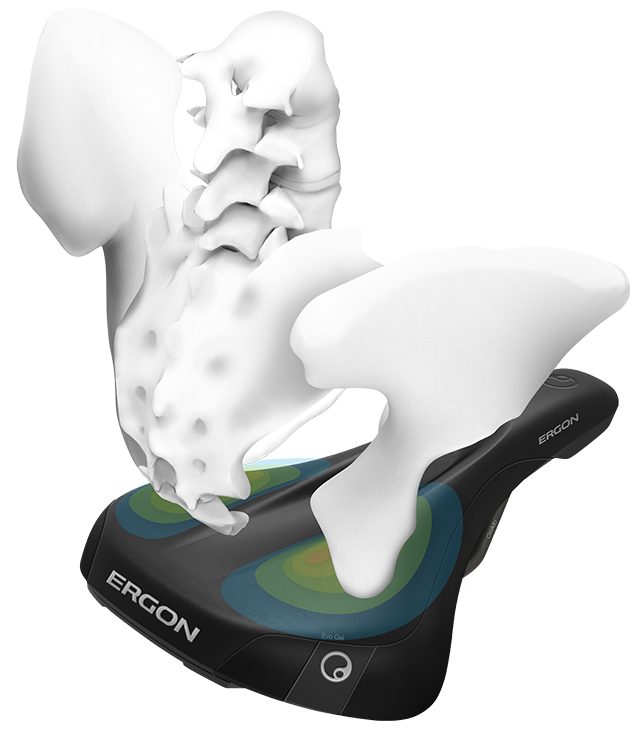 Optimal pressure distribution in the area of the saddle and pubic incisions is achieved by a flat even contact surface with the use of high-quality orthopedic foams. 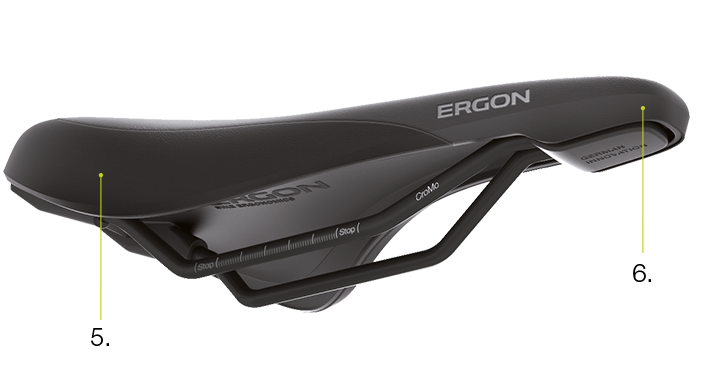 Due to the Ergon relief channel in the center of the saddle, there is no pressure on sensitive soft parts. The results, numbness is actively reduced. 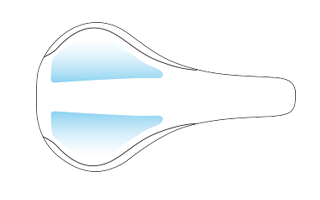 Optimal pressure distribution for effective relief and protection of the perineum and genital area. 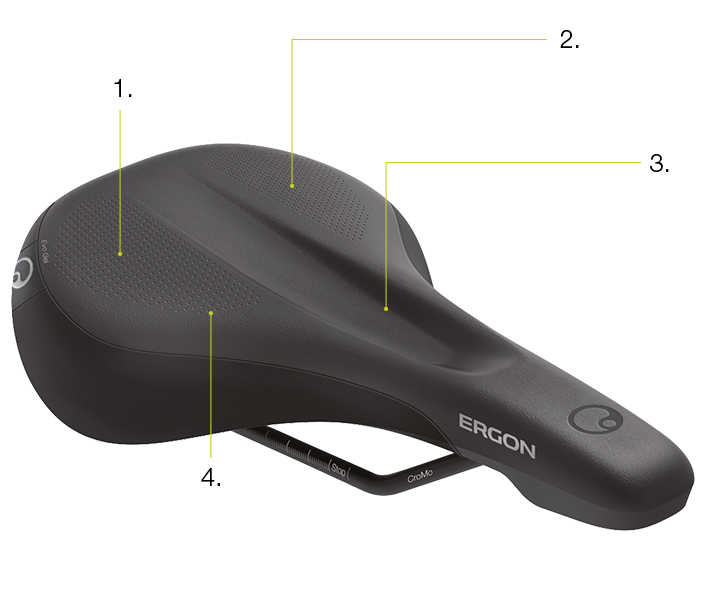 Extra comfort thanks to large gel pads, which follow the sit bones during pedaling. 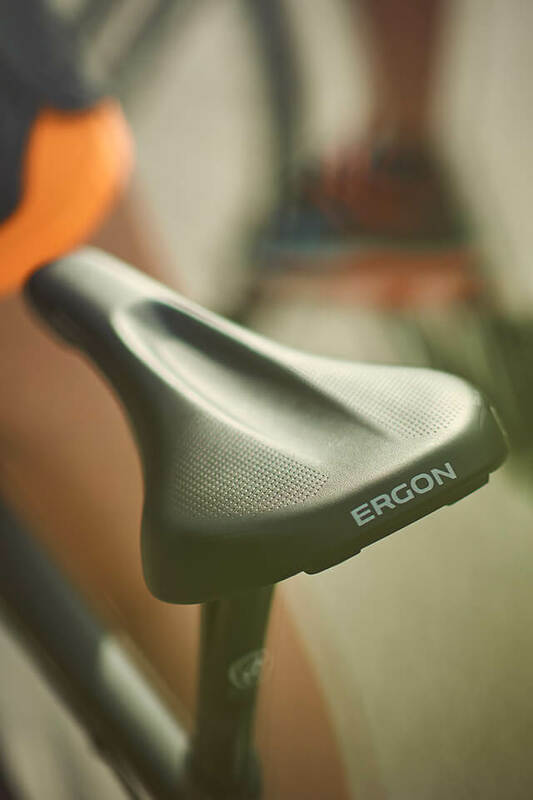 Numb fingers and sitting problems become issues of the past thanks to the ergonomically shaped products by Ergon.